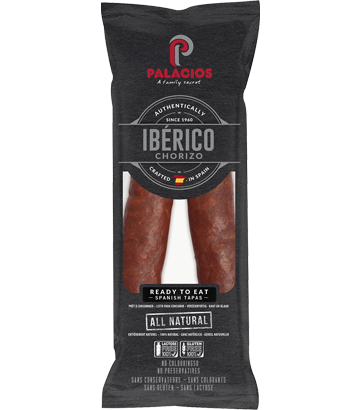 Discover the taste and the soft texture of our Chorizo 100% Iberico. All natural, without colorant and preservatives, perfect for your snacks. Made with Iberian pork, salt, paprika, garlic and natural flavour. 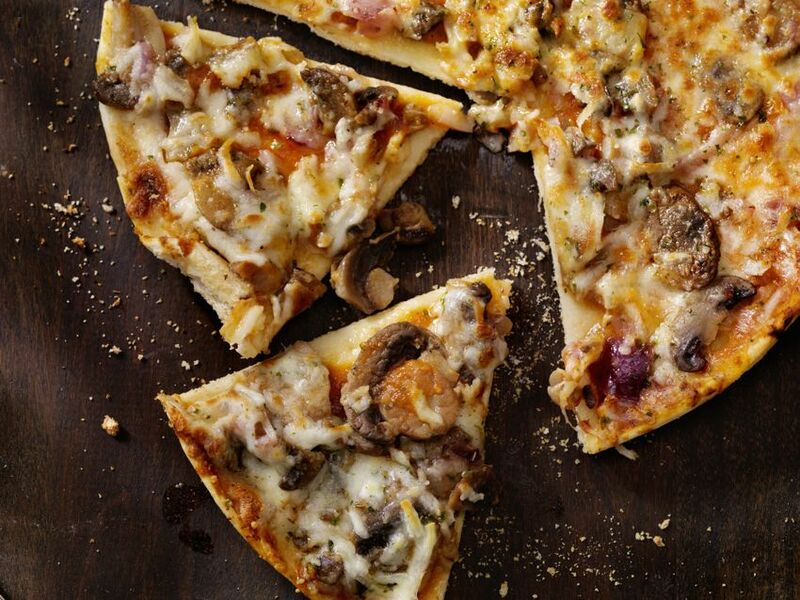 For those days when you really feel like cooking and you want to make everything from scratch, here's a delicious pizza recipe with chorizo Palacios. 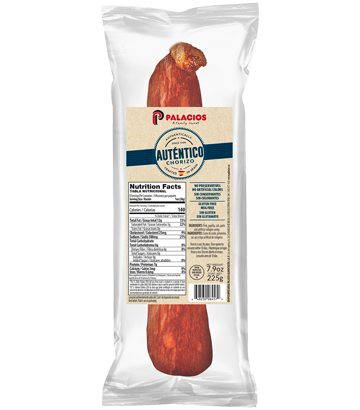 3,5 ounces of authentic Spanish Chorizo, spicy taste. Ideal as snack or "tapa" in family or friends meetings. 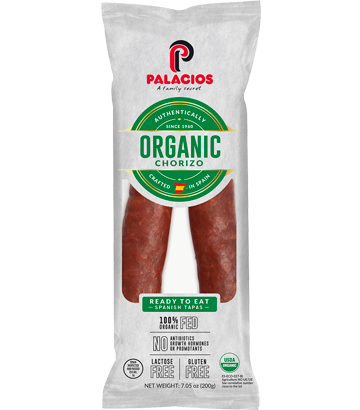 Discover the taste and the soft texture of our Chorizo 100% Organic. 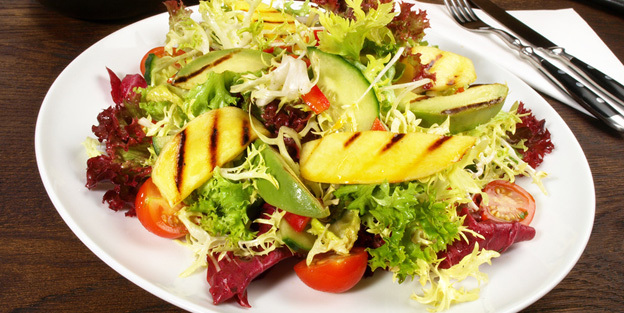 All natural from organic farming: with no colourings or preservatives; lactose and gluten free. The perfect snack. 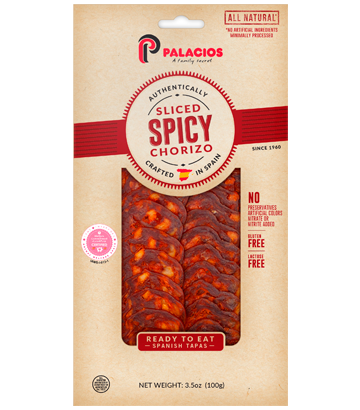 Delightful chorizo from Segovia for those who love all things spicy. A cured sausage made in time-honored fashion using the finest pork.